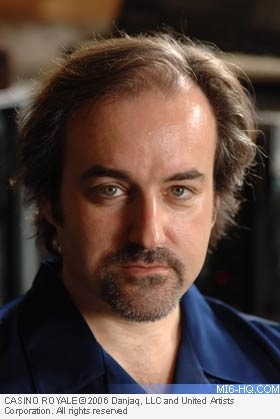 David Arnold was born on January 23rd 1962 in Luton, England where he launched himself into the world of movies at an early age. Together with filmmaking partner Danny Cannon (who he first met while they were both studying at Centre of Arts in Hitchin, England), Arnold shot a series of short films. The duo worked hard over this period and all the while Arnold taught himself to read and write music in order to score his short film exploits. When Cannon made his breakthrough, Arnold was brought on board his debut feature film, the 1993 production "The Young Americans". Arnold provided a full orchestration for this production, which neatly contrasted the Bjork-performed title song, "Play Dead". This production proved the perfect springboard for Arnold's career as a moviemaker and composer. Straight out of "The Young Americans", Arnold was offered a chance of a lifetime - the chance to score Roland Emmerich's "Independence Day". Out of his Grammy award-winning work on this blockbuster sci-fi flick, Arnold and Emmerich forged a strong working relationship. Next up was Emmerich's TV series "Stargate" and Arnold was welcomed back to compose the memorable theme-tune. His work on this TV production earned his first of several BMI awards. Arnold was inspired to produce a solo album, with a distinct 007 theme. 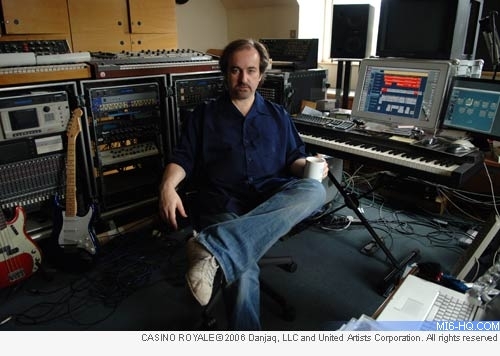 His personal project "Shaken and Stirred", subtitled 'The David arnold James Bond Project" was released in 1997 and featured a variety of popular artists performing re-imagined Bond theme songs and themes. This critically acclaimed album, and his use of larger than life orchestration and dramatic overtones in his movies scores, won favour with the Bond family. After hearing his work on the "Independence Day" soundtrack, Arnold was called on by the producers, who had been searching for someone to produce a classic-Bond sound in a modern way. Arnold's combination of '90s electronic pop-rock rhythms with the classic orchestration Bond is known for brought both continuity and change to the "Tomorrow Never Dies" sound. Arnold clocked up another BMI award for his score of the 17th James Bond adventure. "It is about the whole film, not a moment. Every bit is almost as crucial as the next bit and some of my favourite moments are actually subtler moments"
Most recently, Arnold composed music for Daniel Craig's debut Bond outing "Casino Royale". For Arnold, this movie saw a change in focus - the synthesisers were all but dropped from the scoring and a classic orchestration clearly dominated the work. Arnold collaborated with the Audioslave front-man Chris Cornell on the rocky title song "You Know My Name". Arnold picked up the 2007 BMI Film Music Award for his work on Casino Royale. It was the eighth time he has won the BMI award. Beyond Bond, Arnold is the resident composer for TV-hit "Little Britain" - for which he won a Royal Television Society Award - and feature films such as "Godzilla", "2 Fast 2 Furious", "Amazing Grace" and "Hot Fuzz". Away from the film world, Arnold maintains a career as a successful record producer, having worked with contemporary artists such as Pulp, Iggy Pop, Chrissie Hynde, David McAlmont and The Cardigans. He regularly works with orchestrator/conductor Nicholas Dodd, and has established long-standing relationships with directors such as Roland Emmerich and John Singleton. Arnold on Bond in "Casino Royale": "Reading through the script you realise that it is a far more intriguing and consequential relationship that he has with Vesper and realised that his relationship with Solange helps him get where he wanted, and informed us a great deal about his attitude to women. I think he would have had the same attitude with a man." "For some people John Barry will always be the definitive and undeniable sound of James Bond, and wrote the greatest Bond scores. I'm firmly in that camp, some people who have written to tell me that "Casino Royale" is their greatest James Bond film ever and has the best music ever as far as they are concerned." On following in Barry's footsteps: "It is a fantastic privilege to be walking in John's shadow, he casts a very long shadow over the entire franchise. It's something that I'm very aware of and I think his sound is the sound of James Bond."